Hooray, you got an order! This node will explain how to fulfill your orders. We ask that merchants fulfill their orders in one to five days so that they can provide a timely service for our users. You must provide a valid tracking ID in order to get paid for fulfilling your order. See Wish's payment policy here. Orders awaiting fulfillment are listed on the Action Required page. Here, you can view order details, edit the shipping address, and mark the order as shipped. Orders that are not shipped within 5 days are refunded automatically by Wish. From the top navigation bar, click on Orders > Action Required to go to your new orders. This will take you to http://merchant.wish.com/transactions/action. Click on the Next button to mark the order as shipped. This action will send a notification to the user letting them know (1) their product has been shipped and (2) their tracking information. A window will open, allowing you to input tracking information for multiple orders. Double-check to make sure that you're inputting the correct tracking ID for the corresponding transaction! Once you're finished, click "Ship All", and you're done! Once an order is marked as shipped, it will move from Action Required to History. 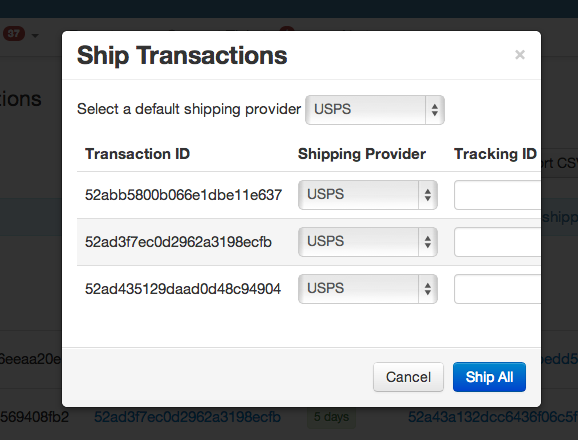 To see your shipped orders, click on Transactions > History from the top navigation bar. This will take you to http://merchant.wish.com/transactions/history. 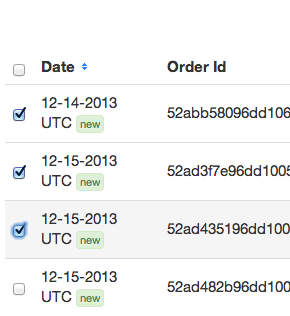 For merchants who receive a large number of orders each day, you can mark your orders as shipped using a feed file. Before you begin this process, you will need a CSV of your orders you are fulfilling. Click here to learn how to export your order information from the Wish Merchant Dashboard. When you upload your CSV, you will need each row to include the Order ID, the shipping provider, and the origin country for that order. If you are supplying tracking information, you can also include the tracking number in the row for the appropriate order. You will be able to preview your fulfillment information during this mapping step. Please use this time to double-check that your information appears correct. Click on the blue Submit button to import your feed to Wish. After submitting your feed file, you can check the status of this import job by going to Orders > Fulfillment CSV File Status. This will take you to http://merchant.wish.com/fulfillment-uploads/jobs. How Do I Know if I have Orders about to Expire? Merchants will receive emails when they receive orders on Wish. Additionally in their Orders > Action Required queue (https://merchant.wish.com/transactions/action), merchants can see the time left to fulfill under “Days to Fulfill” on each order.